There are some great workshops out there. Here are three that you might want to look at. "Hey, Cory! Why is your flash sideways?" AKA, The Bounce Flash Article! I am finally getting started on my series of articles on flash. I am going to start with the type of flash I use most often - the on-camera bounce. 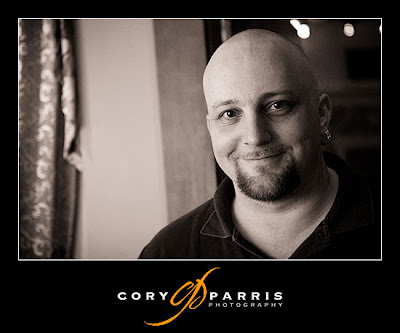 I move quickly and quite often have the two options of available light or on-camera flash. Sometimes the available light in a room is not flattering. Soft, bounced lighting, when balanced with room lighting, looks natural and flattering. It does not add any drama to the photographs (harsh lighting is dramatic and can add or detract from a photograph, soft lighting usually does neither). Beautiful natural lighting already exists in the environment you are in. 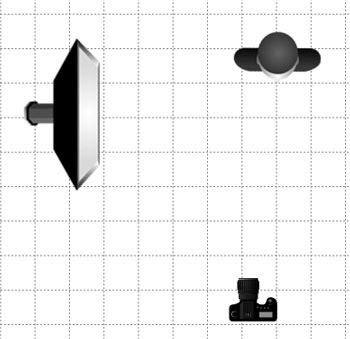 Flash capable of tilt and swivel. A piece of black plastic and some Velcro. Okay, here we go with the meat of the article. Bounce flash is a quick and easy way to upgrade the lighting in a room. Whenever I am looking through my camera I am looking at the type and angle of light as well as content and composition. When I see that the lighting is mostly from overhead sources, I usually want to modify it somehow. Overhead lighting as the only source of light leaves dark shadows in the eyes and causes people to look tired. This is probably my least favorite type of lighting. To use bounce flash, you don't have to do anything too difficult. You attach your flash to your camera (or to an off-camera shoe cord if you wanna get funky) and point the flash in the direction that you want the light to come from. Imagine that you have a big softbox on a set of wheels that you can position anywhere you want in the half-circle behind you. You can place directly to the left or right, directly overhead, directly behind you or the the left or right of directly behind. You obviously can't make it come from the far side of your subject because of the physics involved (think of shooting a cue ball in pool - you can't bounce the ball off the bumper directly on the far side of another ball without hitting the ball). 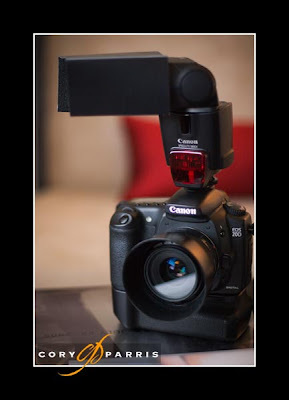 Now that you have your flash bouncing around the room, you need to control it a bit. The first thing to keep in mind is how you want the lighting to appear. Do you want to drown out the existing lighting, add to the existing lighting or somewhere in between? My favorite way to do it is to add to, but not completely overpower the existing lighting. I do this by manually setting the exposure to keep the room lighting the way I want it (to add to, but not completely overpower, I might set the exposure to underexpose the existing light by one to two stops). Also, the slower your shutter speed, the more you have to have the room lighting below the flash setting. To give you an example, if you are shooting at 1/20 of a second with only a one-stop difference between room light and flash, you will have blur from the movement of the people as recorded by the by room lighting after the flash has fired. In which case, you need to increase the difference to two stops to avoid the flash-blur look. Unless, of course, that is what you are going for! Bounce from the right of the room balanced to the room light. Something else that I wold recommend is controlling the light from falling directly into the frame (this is a more common problem when shooting wide). To do this, you either need to zoom your flash or create some sort of snoot-type device for your flash. You can see what I did here with a piece of black plastic (a file folder from Staples) and some Velcro. This prevents flash from hitting someone directly into the scene I am shooting. I've shown it to other people, but most don't share my enthusiasm for attaching ugly, home-made devices to their flashes, but willingly spend $40 on a piece of Tupperware to sit on top of it! My setup with black plastic "bounce tunnel"! I have four more hints with bounce flash. The first is to use a high ISO because this increases the sensitivity of the sensor, which in turn reduces how hard your flash has to work and reduces how badly you blind anyone that makes the mistake of standing next to you! Second, buy a good pair ofNiMH batteries. NiMH batteries keep a consistent recharge rate during the life of the batteries. With Alkaline batteries, the recycle times on your flash become longer and longer as the power is drained out of them. Third, be aware of your surroundings. It doesn't do any good to want the light to come from the left if the nearest wall is 120 feet away. It also doesn't do any good to point a flash directly at the mother of the bride's face! No matter how annoying you may find her, nothing good will come of blinding her! That last is just a joke; I haven't had an annoying MOB in years. Another example of side bounce. Finally, experimentation is good! In fact, it is the only way to get a good handle on using bounce flash. Go forth and bounce! I sometimes get asked what my workflow is like. So, here is a quick sketch! 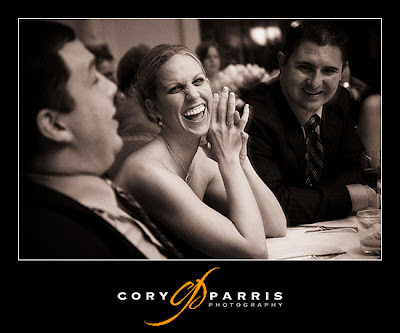 One of my most common questions from other photographers is about advertising to get the clients you want. To me, this is putting the cart before the horse. When you are creating a business, I believe that you have to start with an idea of what your business personality will be. To get this, I think you start with your own personality on your best day or what you strive for your personality to be. This could be "Like me, only more attentive to detail." Then start describing that person/business in single words. Sophisticated, Down-to-Earth, Confident, Real, Sweet, Intriguing, Mysterious, Responsible, Trustworthy, Fun, Sarcastic, and Unique could be words to describe yourself and your business. Choose what you think are the two most important words, add in a short description of the work you do, and add the clientèle you wish to serve. When you add it all up, you will end up with a statement that completely describes your business. 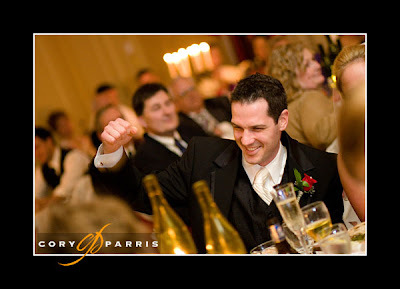 Cory Parris is a fun, relaxed and attentive photographer that creates beautifully elegant photostories for brides and grooms that put photography on the top of their priority list for both importance and budget. This does not have to be difficult and it can change over time, so don't agonize over it. However, you now have a statement that you can pull apart and use for your marketing, creating your business plan (whether it is on paper or just in your head), and for guiding your creation of business image products such as your business cards, letterhead, brochures, logo and, most importantly, your website. Once you have all of the ideas and materials in place, then it is time to market your business aggressively, whether you do that by advertising, networking, or word-of-mouth depends on your target market (that you just identified) and personality! New main website for me! I've just updated my website. Check it out and tell me what you think! My friend Jim Garner has come out with a new camera bag. 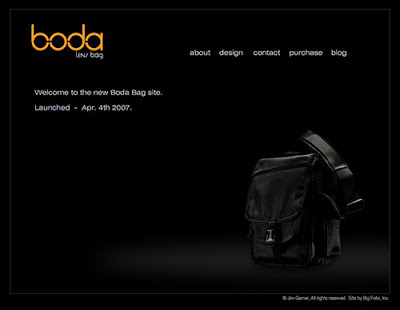 This is a wedding shooter that designed the perfect bag for a wedding shooter. Check it out at GoBoda.